I have a couple of upcoming events! If you are in the area it would be great to see you! 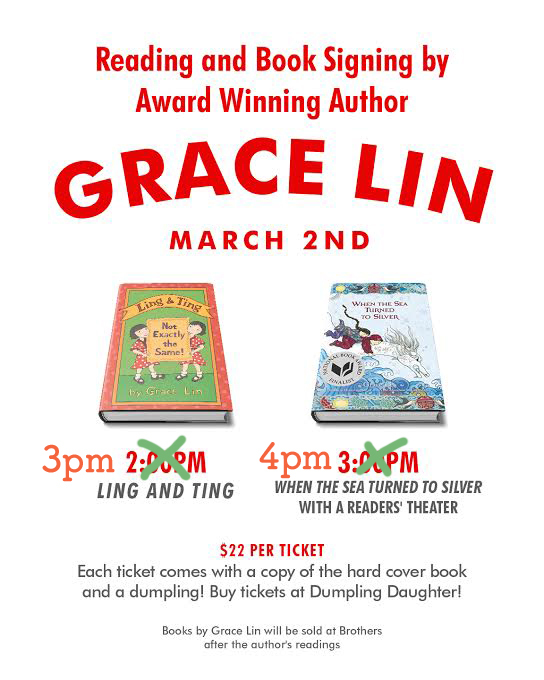 Come to the event, eat a dumpling, get a book (book & dumpling included with the price of the ticket) and see me! a cancellation, a reminder and another event!